The Welsh Government has revealed a range of environmental projects set to benefit from more than £1 million of funding raised through its Landfill Disposals Tax Communities Scheme (LDTCS), including an outdoor children’s education centre and conservation programmes for endangered species. The LDTCS is a funding programme managed by the Wales Council for Voluntary Action (WCVA) and will award grants to a total of 27 projects across Wales to support community and environmental projects in areas affected by disposals to landfill. The funding comes from the proceeds of the new Welsh Landfill Disposals Tax (LDT), which replaced the UK Landfill Tax in Wales in April 2018. The LDT taxes the disposal of waste to landfill and is charged by weight, with three different rates: a standard rate, a higher rate for unauthorised disposals and a lower rate for inert waste. In what is the first case of a Welsh funding scheme drawing directly on revenues from the LDT, successful projects focusing on the environment, wildlife, reuse, biodiversity and waste management under the LDTCS will receive funding of between £5,000 and £50,000 each from a pot of £1.4 million. Pembrokeshire Remakery: £49,900 will go towards a community project aiming to re-educate the community in repair and mend and to reduce the amount of waste that goes to landfill. Betws Family Centre in Carmarthenshire: More than £8,000 will go towards a project to enhance an outdoor space so parents and children can be more physically active and gain skills in gardening and growing their own food. Ysgol Y Lawnt in Caerphilly: £10,600 will support a project to transform the school grounds from overgrown and unused scrubby woodland to a space used for education and outdoor activities, to improve the wellbeing of the pupils and biodiversity. Menter Mon in Anglesey: £49,900 of funding will support a project that seeks to respond to the threat the American Mink poses to biodiversity on Anglesey. Without intervention, this non-native predator could lead to the extinction of water voles and wading birds on the island. The Vincent Wildlife Trust in North Wales: £49,900 will go towards a project to engage with local communities and train new volunteers to ensure the recovering population of native pine martens survives in the long term. Applications for a second round of funding for projects starting in April 2019 have recently closed. However, two rounds of funding will take place each year the scheme operates, with opportunities to apply in the spring and autumn. The second round of funding included a call for a nationally significant project costing between £50,000 and £250,000. Lesley Griffiths, Minister for Environment, Energy and Rural Affairs, praised the funding and said it would have a number of wider environmental benefits: “I’m delighted the establishment of Landfill Disposals Tax has led to 27 projects benefiting from more than £1 million through our new Landfill Disposals Tax Community Scheme. Ruth Marks, WCVA’s Chief Executive, commented: “The successful grant applicants represent a really exciting range of projects from across Wales. From taking action to improve local community facilities, enhancing the natural environment and promoting waste minimisation, these projects will have a great impact in Wales. 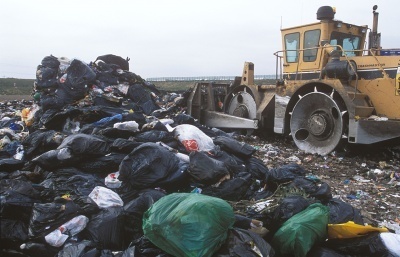 The Welsh Government has announced that it will be funding a new support scheme for communities affected by landfill with part of the revenue generated by the incoming landfill disposals tax. A new bill detailing plans to devolve the landfill disposals tax to Wales from April 2018 is due to be laid out before the Welsh National Assembly. The Welsh Government has set the rates for its new devolved Landfill Disposals Tax, maintaining the UK’s standard rate but adding a new band for unauthorised disposals to provide a deterrent against waste crime.